Continuing its vision to make the world-class Isuzu brand and service accessible to all Filipinos nationwide, Isuzu Philippines Corporation (IPC) signed a Memorandum of Agreement with Mina de Oro Motors Inc last October 10. 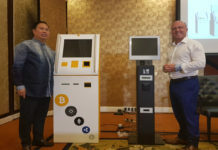 The MOA signing, held at the IPC Main Conference Room in Binan, Laguna, saw Mina de Oro Motors Inc., represented by its President Daniel Uy, and IPC President Hajime Koso, commit to establish an Isuzu dealership along Km. 9 of the Nautical Highway in Barangay Puting Tubig in Calapan City, Oriental Mindoro. This Isuzu dealership, with a total lot size of 5,462 square meters, is projected to be built with a total of six service bays: Four for light commercial vehicles (LCVs) and two for commercial vehicles (CVs). 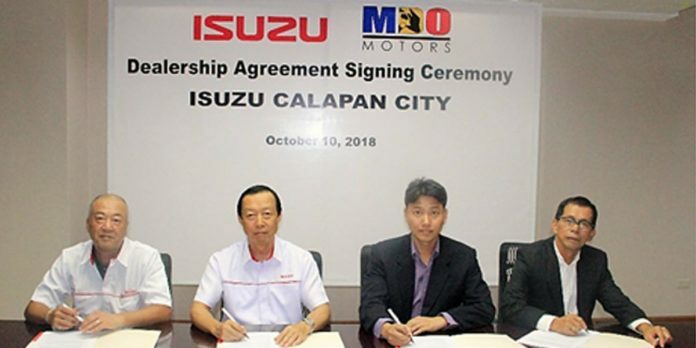 The new Isuzu dealership in Calapan will bring the renowned Isuzu vehicles, genuine parts, and aftersales services to its customers in Oriental Mindoro, a known agricultural region with a strong market base for Isuzu LCVS and CVs.